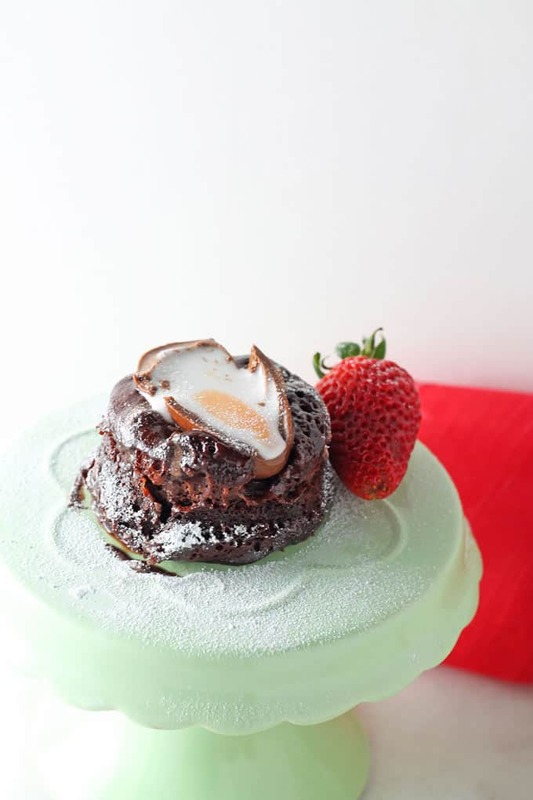 A delicious molten chocolate Creme Egg Mug Cake recipe. Ready in just 4 minutes! It’s that time of year again, when the internet goes crazy for all things Cadbury’s Creme Egg! To be honest with you I never intended to make a Creme Egg recipe this year. This creation came about by accident one night last week when I was ransacking the kitchen for some chocolate (bad day with the kids…don’t ask!) I decided to make a Chocolate Mug Cake and then spotted a couple of Creme Eggs lurking at the back of the cupboard. And so the Chocolate Creme Egg Mug Cake was born. I have to admit I am partly chuffed with myself from creating such a rich gooey chocolately creme egg concoction but also partly disgusted for the very same reasons! Please don’t ask me the calorie count of this dessert because I don’t know and quite frankly don’t want to know. It’s full of all the things I try to keep to a minimum usually; refined white sugar, white flour, milk chocolate. But hey, we all need a treat now and then and if you are going to blow the healthy eating just once then you might as well do it in style! If you’ve not had a mug cake before then I must warn you that it’s not going to be the most amazing chocolate sponge that you have ever eaten. It’s cake in the microwave so it has its limitations but it’s ready in less than 5 minutes so who can argue with that. The great thing about mug cakes is also the lack of waste. There’s nothing worse than buying or making a big cake, only to have to throw it in the bin the next day when it’s as dry as a camel’s flip flop! It’s also a great cake to make with kids. So simple to mix together in a bowl, ready in just a few minutes and no hot ovens to contend with. I made these cakes in ramekins but a mug or cup would work just fine too. 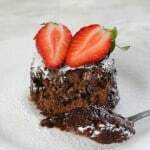 You can of course eat it straight from the cup but if you want to present it nicely then be sure to grease it with a little butter or cooking spray and the cake should slide out easily. Lightly grease two ramekins or small mugs with butter or cooking spray. In a bowl mix the flour, sugar, cocoa powder and baking powder together. Crack the egg into a cup and beat with a fork. Add the yogurt and vanilla extract and mix well. Pour this mixture into the dry ingredients in the bowl and stir until well combined. Add the chocolate chips and mix again. Cut the creme eggs in two length ways. Add one large spoon of the cake mixture into each of the ramekins or cups. Place a half creme egg into egg mug ramekin or mug and top with the remaining cake mixture. 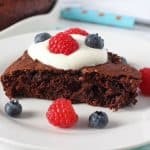 Microwave each cake separately for 45 seconds. This cooking time is based on a 800 watt microwave so you may need to adjust the cooking time. 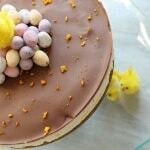 Turn the cakes out onto plates and top with the other half of the creme eggs. **Warning** This recipe contains egg and although it is cooked in the microwave it is not cooked for a very long time. Pregnant women and anyone else who has been advised to avoid raw or lightly cooked eggs should bear this in mind when making this recipe. 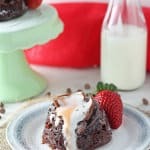 Just the best mug cake recipe!!! Total comfort food! Delish. I’m mad with Cadbury products and never found better snacks and chocolates (even in Swiss) and each time I come to England, I fill my car with Cadbury treats (especially toffee crunch fingers which are my favorites!) 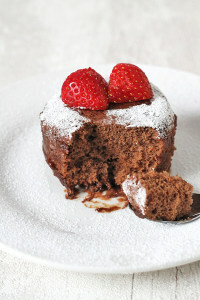 before going back to France… This mug cake is just devilish and will happen soon in my kitchen! Wow you certainly are Cadbury mad Sylvie! 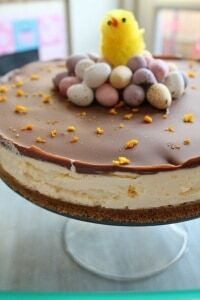 Hope you like this creme egg recipe! That’s the problem Lucy – they’re just too easy to make! It really is. A rare treat I think! Thank you Rachel. I hope you love it! Your pictures are lovely and I am so tempted….sadly on a low/no sugar diet so I cannot give in…but if I was going to, this would be it! #TastyTuesdays. That’s a shame Sarah but there’s still loads of tasty things to enjoy on a no sugar diet. 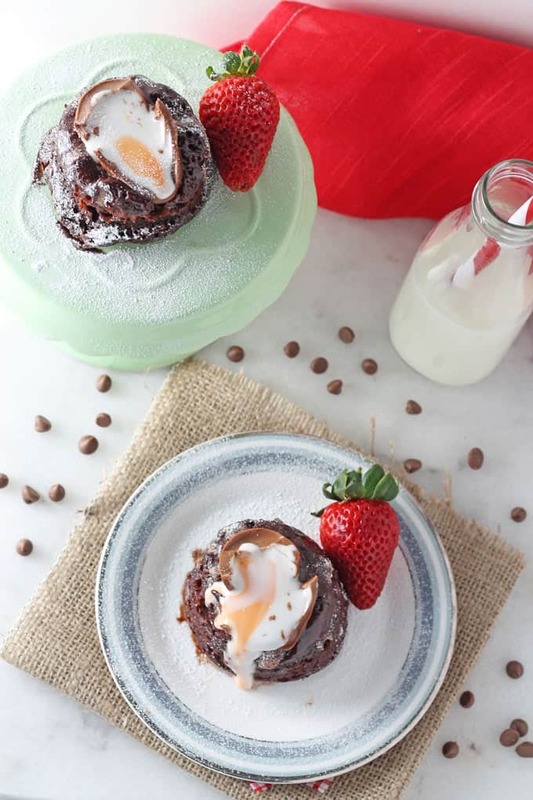 Mug cake…chocolate…cadbury egg….WOAH. AMAZING! Sounds so decadent and I need it! Creme eggs are my ultimate Easter indulgence.. I wish they were available every day of they year! 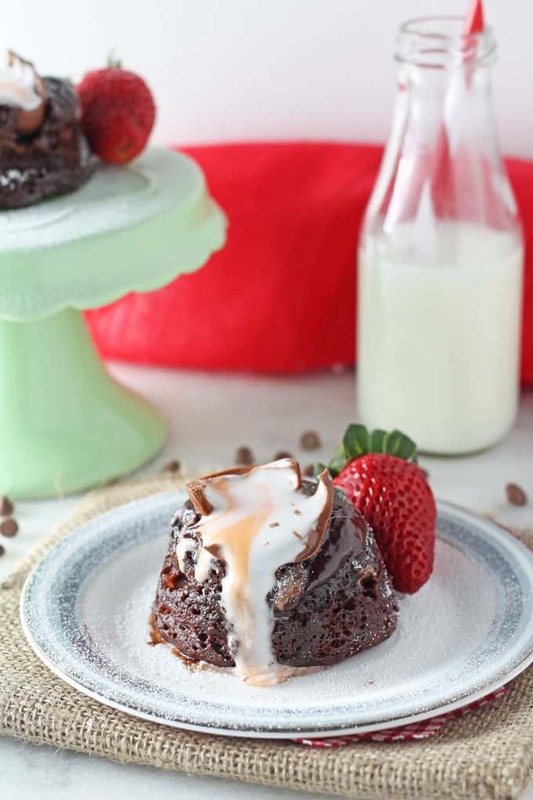 I have to make these mug cakes.. love how easy they are to make. I’m so excited about this!! I’ve pinned it, I’ve tweeted about it! In going to make it for my husband’s birthday. – best recipe ever!!! !